The supercontinent Pangea is starting to break up. The climate is hot and dry. Surfaces of the oceans are high. Reptiles DiVERSiFY. The early turtles, dinosaurs and mammals evolve. There are large forests of Cycads, palms or cone. Erosion has removed evidence of These sediments in Finland. The Solar System is in the same part of the Milky Way as it is now. The supercontinent Pangea started to break up into the present-day continents. The climate was hot and dry and there was no polar caps. Seed plans ( Spermatophytes ), such as Cycads, or cone palms, conifers and Ginkgos Became common. Erosion has removed evidence of These sediments in Finland. After the mass extinctiont the reptiles diversified Rapidly (adaptive radiation). 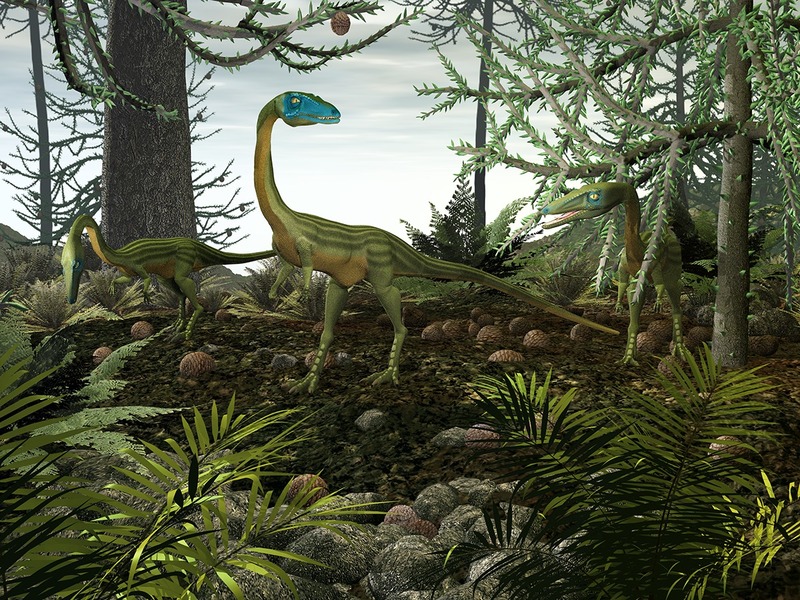 Terrestrial life was dominated by various archosaurs, Which evolved further to pterosaurs, crocodiles and ancestral to at the late Triassic, to first dinosaurs. 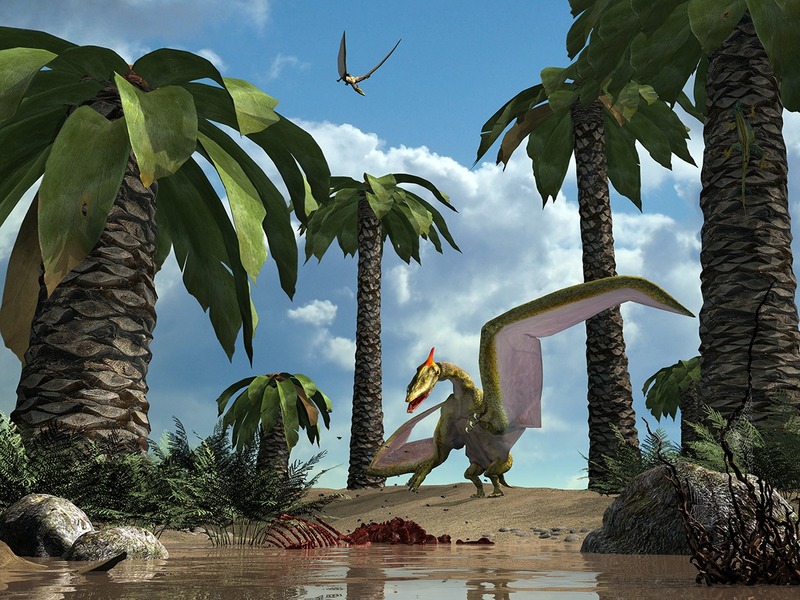 Pterosaurs, the first flying vertebrates, the where not dinosaurs, but Their sister group. The Triassic archosaurs apex predators were related to crocodiles, such as 4-5 meter long postosuchus. Reptiles Invaded alsó oceans. 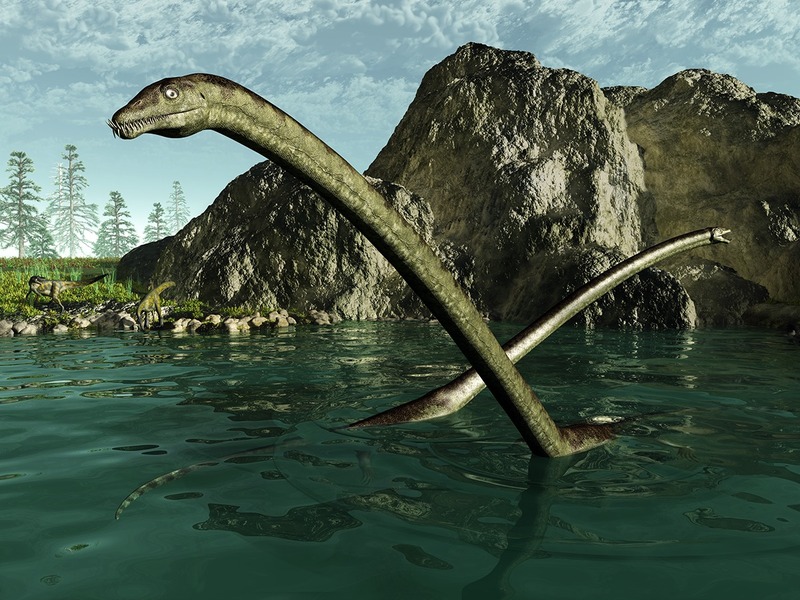 Dolphin-like ichthyosaurs and long-necked plesiosaurs evolved. The largest known ichtyosaur Shonisaurus could grow up to 23 meters long . Proto-mammals, Therapsids, had suffered in the Permian mass extinction. Even Also they diversified Rapidly, they could not keep up with competition in arkosaurs. However, first mammals evolved from them at the Late Triassic.